Before you watch his new viral video, let us tell you that Chand Nawab still has not lost his hilarious side. Earlier, after making headlines for trying to keep people out from the frame at Karachi Railway Station his new video shows his struggles of getting a perfect shot while reporting for a pan shop in Karachi which ends on a hilarious note as he keeps fumbling and forgetting his lines. Remember the famous Pakistani journalist, Chand Nawab, whose ‘funny’ way of reporting went viral on the social media and made him a known personality not only in Pakistan but outside it also. His reporting during the time of Eid was the one that gave him recognition in Bollywood industry. How? You ask. Well, the character of Chand Nawab inspired Nawazuddin Siddiqui’s character in Salman Khan starrer-Bajrangi Bhaijaan. Well, to everyone’s surprise, the very talented journalist is back with a new video and this time it’s about the famous pan from Karachi, Pakistan. 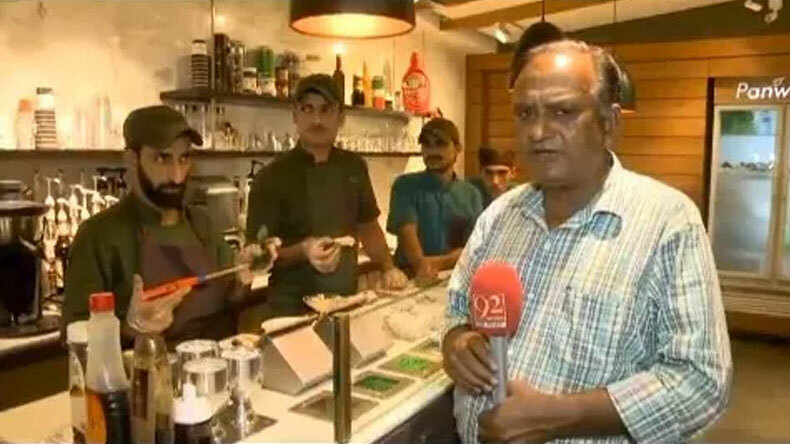 In the new video, Chand Nawab tries to deliver a piece-to-camera at paan shop but fails again and again as he kept messing up his lines. Unlike his previous video where Chand Nawab was seen struggling with people, in his new video Nawab struggles with pan. The new video comes to light almost after a gap of around 10 years. Chand Nawab’s previous video came in 2008 that later helped Bajrangi Bhaijaan in getting a full power comic scene. In the latest video, Chand Nawab is seen fumbling with his lines and the look of staffers is really something that will make you burst into laughter. After entertaining us with his video, he also made us laugh with several memes over the years.